There's a full moon tonight in Kansas and the prairie is unsettled. The wheat stubble is restless and longs to be severed from the Earth like the cursed Larry Talbot. 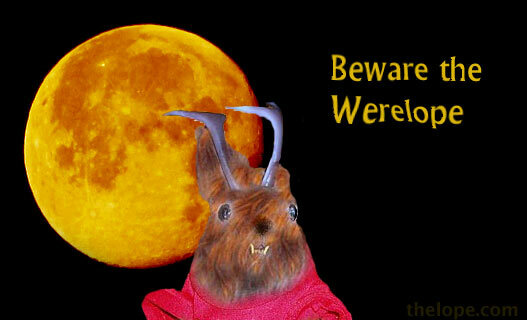 As is usual during a full moon - especially an October one - take precautions against werelopes. These precautions may include avoiding tiki bars and Chinese restaurants. To fully familiarize yourself with the danger, see Werelope of London.